The latest of my escapades: shooting a pilot with Rabbit Ears Media. It's called Royal Comics, and is written, produced, and directed by Helder Mira. Helder is a local figure of great repute. He's one of the many, many Hartfordites who's always working on some new project. (Brian Cook is also one of those people.) This is the category of people that keeps Hartford going: they're talented, but they also work ten times harder then those who simply rest on their talent. Helder: Julia, will you shoot this pilot with me? Me: I'm in. .... what's it about? 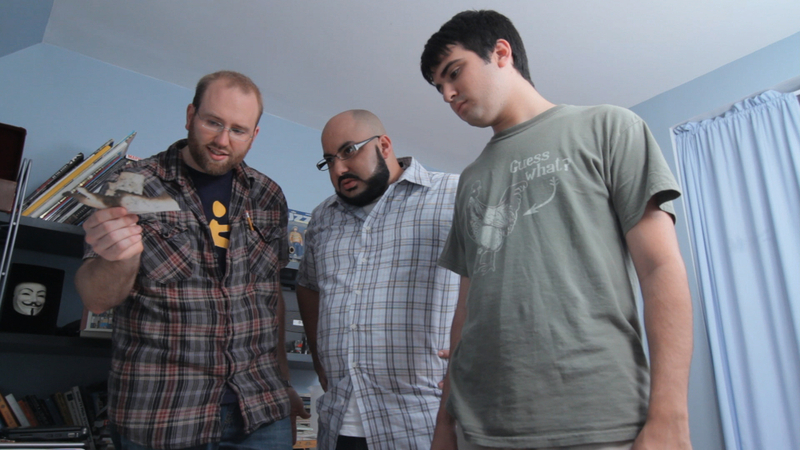 The pilot (which will hopefully evolve into webisodes, pending funding) is about comic book writers and illustrators. I'm a maybe-important-later character, so my scene this time was short and simple. It has been a long time since I've done anything scripted and it felt strange. The experience was a quick sprint through new skills. I memorized some lines. I stood in front of cameras and did multiple takes. I learned a little something about being a comic book illustrator. I attempted to look cool. Most importantly, I was humbled by the act of trying something new and difficult. I've seen many still shots and a few rough scenes of Royal Comics. The other actors are hilarious, and the shots are beautiful. All in all I am very glad I did it. See a rough cut of the teaser below.